Emails from all non-StackOverflow stack exchange websites are sent from StackOverflow email. Is this intentional? It does look a bit weird in my Inbox as well because of the "name" of the email. 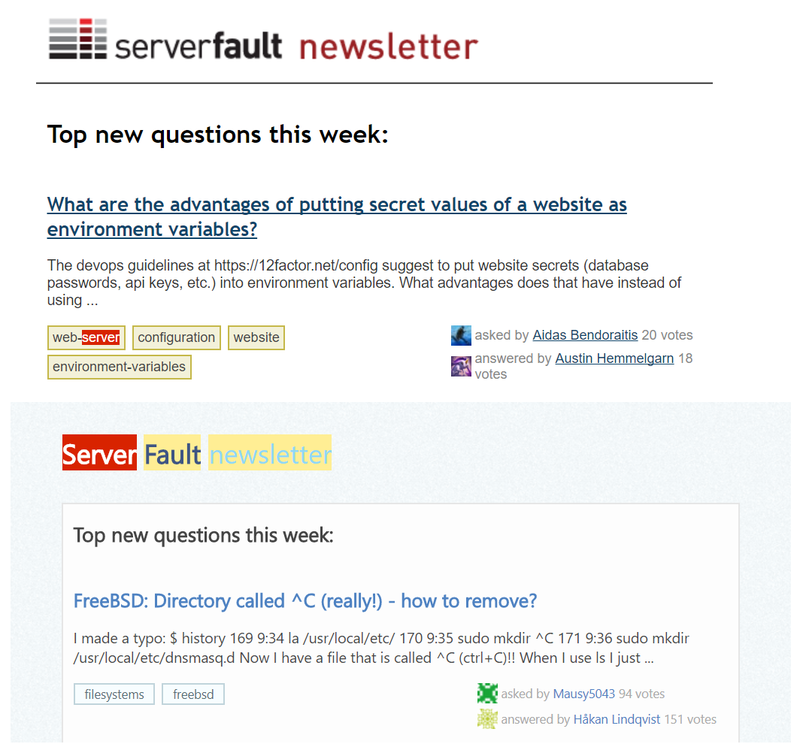 In addition, ServerFault newsletter now has a default styling instead of the ServerFault styling. Server Fault is part of the Stack Exchange group of websites, the largest of which is Stack Overflow. It's quite normal for email to be sent from Stack Exchange's general mailing system.